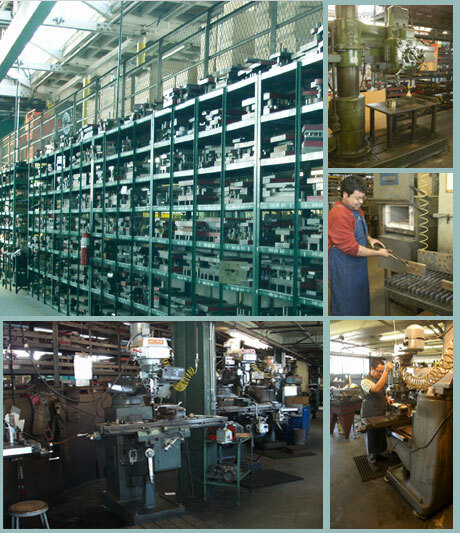 Metal Products Engineering has over 50 years experience with in-house tool and die making. Quality tools are the key to obtaining high quality stampings. Our master die makers, under the supervision of our engineering staff, manufacture all our metal stamping dies to precision tolerances using highest quality tool steels. Metal Products has been an innovator in the use of computer controlled wire EDM manufactured tool and die sections, to provide tighter fitting die sections to hold close tolerances with less burr. MPE will maintain your dies at no charge for as long as the tooling and production remain with us. We can also run an existing customer die, and refurbish it if necessary. We make blanking dies, forming dies, multiple station progressive dies, and draw dies.